A non-profit organization is a non-business entity in many countries. The Internal Revenue System in America grants non-profit organizations a status of business which is exempt from tax. Non-profits are established for a cause. If a non-profit generates a revenue, it is further used for the same cause that the organization was made for. 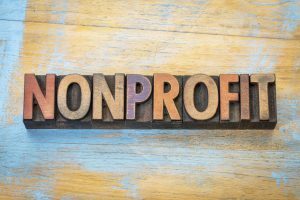 Non-profits pay no income tax on the donations they receive or any money they make through fundraising movements. We generally believe, and hope, that only honest volunteers work in non-profits to raise funds for a cause. We want to believe that there are always hardworking, genuine people managing the tasks in non-profits. It is disheartening to think that there may be dishonest people managing the bookkeeping tasks in non-profits because such organizations are made to serve humanely causes. The reality is different. Many non-profit organizations drive huge funds and donations for use in serving the causes for which they have been made. If left unchecked, a huge portion of the funds raised in a non-profit organization is susceptible to theft, investment fraud, embezzlement, and other unauthorized use. A non-profit should be audit-ready at all times. If the financial data is not up to date and the organization is not audit-ready, this is a clear indication of possible discrepancies going on in the bookkeeping of the organization. Accounting statements must match. Financial statements must be related to the balance sheet and cash flow statements. You can easily spot a financial fraud if the accounting statements do not match or other statements are not properly balanced. Cash is present but not shown on the income sheet. If cash is present for funding of a non-profit, it must be present on the income statement and balance sheets. There should be a monthly check of all bookkeeping and accounting statements. This is a warning sign of fraud in a non-profit. If a manager is bullying and not responding to queries raised, the management is corrupt. Managers who are involved in frauds often have an intimidating attitude to mask the frauds happening in non-profits. Dishonest people can somehow reach the top of management in a non-profit and then they avoid others by showing intimidation. Bullying conduct includes shouting, offensiveness, and denial to reply to genuine questions. If the same non-profit with the same funding starts cutting back the budget by decreasing its paid workforce and starts relying more on volunteer work, then unhappy workers may get involved in frauds to meet their expenses. This seems far-fetched, however, it happens more than we’d like to admit. If employees of the non-profit resign frequently, then the reason behind this can be frauds going on in the non-profit. This could be a sign that they are unhappy with the current practices going on in the non-profit, which includes fraud. If a non-profit that receives huge donations focuses on short-term fundraising goals in between the huge fundraising events, this may indicate fraud. It is possible that management is trying to raise small funds to cover up their fraudulent behavior. There are more chances of fraud if a non-profit is working in remote areas or there is less control of bookkeeping and financial information. If a staff member, especially one who is dealing with bookkeeping or at managerial position, shows a sudden change in their behavior, it may indicate fraudulent practices. A lavish lifestyle without the means to afford it or offended behavior must be checked closely. The directors know there is huge cash present in the account of a non-profit, but checks frequently bounce back. This may very well indicate fraud. An audit must be conducted to ensure transparency. If audits are not done frequently, this may mean that someone is trying to hide frauds, theft, or embezzlement. A non-profit organization is a source of fraud and theft if the accounting and bookkeeping data is not up to date and is left unchecked. It’s hard to believe, but criminals come and join the non-profit for their personal gains. There should be a clear and transparent system in any non-profit to minimize frauds. The above warning signs are helpful to spot a financial fraud in a non-profit.